Dr. Rosalyn Broussard speaks to the audience about growing up in the Jim Crow Era. On Oct. 3, a talk on the events in Charlottesville was given in Velzy Commons. Five speakers gave overviews, history and insight as to why those events happened, as well as how we can potentially prevent these kinds of events from happening in the future. “For someone…who [is] unaware of what happened, it gave me some good information about the actual events…but also about the history of things like the KKK and racial segregation, which I find interesting as a student,” freshman criminal justice major Olivia Gleason said. The first presenter, Becky Fernette, senior lecturer of psychology, gave an overview of the events that occurred on Aug. 12. An audience member asked Fernette why the protestors chose the University of Virginia as the site of the protest. “[The protestors] might have chosen the campus because of the free speech space that most universities offer,” Fernette said. With the growing population of hate groups, like #UNITETHERIGHT, Fernette believed it was essential to have conversations here at the University of Wisconsin-Platteville about the different prejudice and white supremacy groups spreading today. The second presenter was David Krugler, professor of history, and he gave a history and the evolution of the Ku Klux Klan. He talked about how the Klan was formed, what they based their beliefs on and how they have evolved today. Following Krugler, Phillip Gordon, assistant professor of English, talked about the representation of white supremacy in literature and the different influential books and movies that pushed the glorification of white supremacy. Pip also encourages students and faculty to take advantages of opportunities like this forum. “I think that as faculty, it is important to participate…in engagement and educational opportunities not part of regular semester coursework,” Gordon said. Pip is a native of the South, and Southern culture and literature were a major part of his graduate degree studies. As a graduate of the University of Mississippi, Pip shared the story of James Meredith, the first black student to attend Ole Miss. “The events in Charlottesville struck a chord with me and I felt compelled to speak out when the opportunity presented itself,” Pip said. Frank King, assistant professor of ethnic studies, presented on the idea of why white supremacy is a reality. King proposed the question that white supremacy could have been formed because of the fear that blacks would take them over in jobs, in economy and in society. “The acts that occurred in Charlottesville [were] not just a rebuttal from small fringe organizations, but rather a combination of blatantly racist, sexist and homophobic rhetoric reaching a wider audience,” King said. King believes that it is a fear of the past, something that these people are holding on to. “I wanted to explain to people that there is a history of fearing ‘the other’ and how mainstream media outlets amplify those fears,” King said. 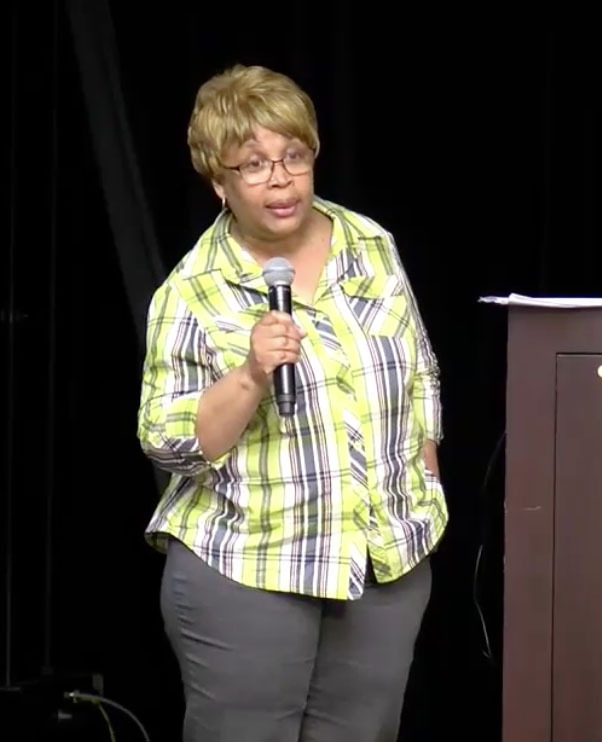 The final presenter was Rosalyn Broussard, professor of political science, who gave insight on what it was like growing up in the Jim Crow era. Broussard started off by talking about her first encounter with racism. She explained how a white man walked up and spit in her face. She then said that with the help of her grandmother, she learned not to hate but she could not trust either. “I didn’t have liberty and justice,” Broussard said, referring to the Pledge of Allegiance. Broussard talked about how the more she learned about her history, the more she felt she learned about herself. Some of the members in the audience had great knowledge about the events that happened in Charlottesville but others had only heard bits and pieces of what went on. The audience was interested in having more discussions on not only this event but others similar to it. These forums are a way to spread knowledge about what is happening in our world, and it allows for a conversation on the issues with others.